Small car sales are down across the board, supplanted by ever increasing SUV and crossover sales. The real shame of this is that the Chevy Cruze is a good car. GM produced a good small sedan, and the workers still lose. In the US market, new car sales have dropped some 13% this year compared to last, while truck and SUV sales have actually climbed a bit. Four years ago, this plant was humming, as GM sold over a quarter million Cruze models, necessitating three full shifts of production. 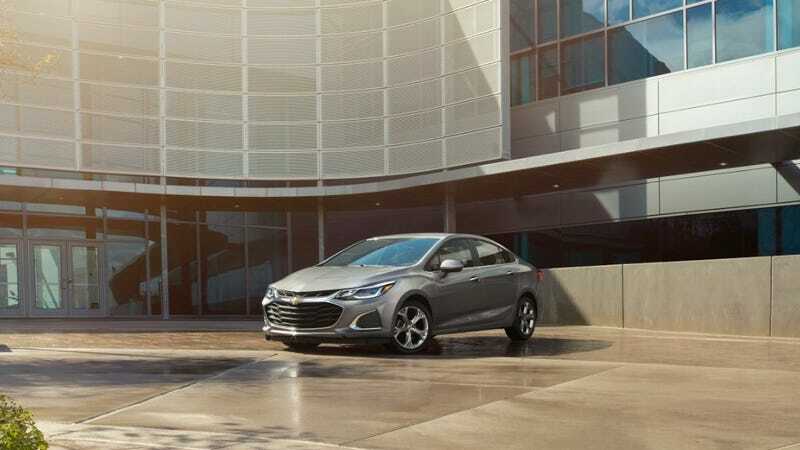 In 2017 they sold just over 180,000 Cruzes, cutting the plant back to two shifts. This year, Chevrolet expects to sell just 150,000 of the small sedans. The Ohio-based Cruze plant employs over 3000 people, 90% of which are hourly workers. As many as half of the plant’s employees could be impacted by the reduction, but GM says they will not know for certain how many people will lose their jobs until the dust settles.